All incoming and current UCLA graduate students who are pursuing an M.A. or Ph.D. are eligible to apply for this certificate program, which is designed for students who are in the early stages of their graduate education. The program offers opportunities to explore the increasingly transnational and interdisciplinary nature of early modern studies. Students who are accepted into the program will complement their training in traditional disciplines with specially designated comparative courses. Aside from gaining a certificate for completion of this coursework, students in the program will have access to unique fellowship and mentoring opportunities. With two centers and numerous faculty members working in a range of disciplines, UCLA is uniquely positioned to provide connections among early modern scholars working across the humanities and humanistic social sciences. This interdisciplinary certificate is administered by the UCLA Center for 17th- & 18th-Century Studies and the Department of Spanish & Portuguese. Successful completion (3.0 GPA or above) of four 200-level graduate seminars on interdisciplinary early modern topics, pre-approved by the Certificate Core Committee. View a list of approved seminars 2018–19. One 25-page paper on an early modern topic of interdisciplinary breadth. The Center for 17th- & 18th-Century Studies awards competitive summer mentorships to participating Certificate program students for the completion of this requirement, based on the strength of their proposed projects. Both the proposed research topic and the completed paper are subject to approval by the Certificate Core Committee. Learn more about the summer mentorship guidelines. Attendance at and brief responses to at least three affiliated lectures held at UCLA or the Clark Library, located off-campus in the historic West Adams District. Admission to the certificate program is competitive. Applications are reviewed once a year. The next application deadline is May 3, 2019. A statement of purpose expressing your qualifications for and interest in this interdisciplinary program of graduate study. The statement should be no longer than 300 words. One letter of recommendation from your faculty advisor or department chair. The letter should be typed on departmental letterhead and signed. The letter must be e-mailed to the address below by the faculty member or sent directly to the Center in a sealed envelope. A copy of your current transcript. If the fall quarter is your first academic term at UCLA, please submit a transcript from the last university you attended. I’m not currently in the certificate program, but I’ve already taken some of the seminars on the pre-approved list. If I am accepted into the certificate program, can the seminars I’ve already taken be retroactively counted towards my requirement? No. The Certificate Core Committee will only count towards your requirement seminars from the pre-approved list that you take AFTER you have been accepted into the certificate program. I found a 200-level graduate seminar that I think would be perfect for the certificate program, but it’s not on the pre-approved list. Can I petition to have it included on the list? Yes. You may petition the Certificate Core Committee to have 200-level, 4.0 unit graduate seminars considered for the pre-approved list. You must contact Jeanette LaVere at jlavere@humnet.ucla.edu well BEFORE the seminar is being offered, as the Certificate Core Committee will not approve a seminar after it has begun. Provide as much information about the seminar as possible, including a syllabus, if available. Please allow one week for a decision. You will be notified via e-mail of the committee’s decision, and if approved, the seminar will be added to the pre-approved list posted on this website. A seminar on the pre-approved list is offered as Satisfactory/Unsatisfactory or letter grade. Do I have to take the seminar for a letter grade? Yes. In order for seminars to count towards certificate program requirements, they must be 200-level, 4.0 unit seminars taken for a letter grade. I attended a conference hosted by the Center for 17th- & 18th-Century Studies and Clark Library, and I would like to count it towards my certificate requirements. How do I do this? Responses should be submitted to Jeanette LaVere at jlavere@humnet.ucla.edu within one week of attending the program. Responses should include your name; the name, date, and location of the program; and a brief (one to two pages) description of the program, including why you attended the program and how it is connected to your own research. If you are unsure if attendance at and a response to a particular lecture, conference, or other event will be counted towards your certificate requirement, please contact Jeanette well in advance. I am not in the certificate program. Can I apply for the summer mentorship offered by the certificate program? No. Only students who are accepted into the Graduate Certificate in Early Modern Studies program are eligible to apply for the summer mentorship. These students must meet several eligibility requirements in order to be awarded a summer mentorship. I am in the certificate program, and I want to apply for the another summer award. May I have another summer award and a summer mentorship provided by the certificate program at the same time? No. A summer mentorship, whether awarded by the certificate program or another UCLA entity, should be considered your primary summer activity; it is not permitted, therefore, to have two summer mentorships at the same time. I am in the certificate program, and I received a summer mentorship last summer. Am I eligible to apply for another summer mentorship though the certificate program? No. The certificate program provides a maximum of one summer mentorship. I am in the certificate program, and I have advanced to candidacy. Am I eligible to apply for a summer mentorship? No. If you have already advanced to candidacy, you are not eligible to apply for a summer mentorship. I am in the certificate program, but I did not apply for/was not awarded a summer mentorship. Can I still earn the certificate? Yes. The Certificate Core Committee recognizes that there are many funding opportunities available to students, so a summer mentorship is not a requirement of the certificate program. As long as a student in the certificate program successfully completes all of the items listed under “Certificate Requirements,” she/he can earn the certificate. To satisfy the certificate program’s 25-page paper requirement, students who do not receive a summer mentorship but wish to earn the certificate must identify and work with a faculty mentor to develop their paper, have their paper proposal approved by the Certificate Core Committee, and submit their completed paper with a letter from their mentor to the committee for final approval. Students who do not receive a summer mentorship are not required to present their 25-page paper at a work-in-progress session with their faculty mentor present but may elect to do so. 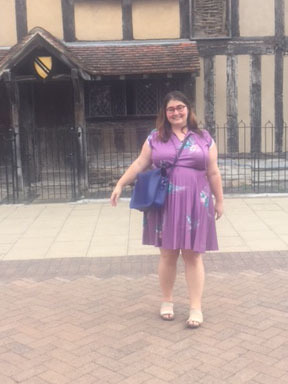 Marguerite Happe is a second-year PhD student in the Literature Department who researches adaptation theory, the history of the book, and eighteenth-century British literature written by women. She received her B.A. in English from Creighton University and an M.A. in Literature from the University of Arizona in 2016. Her current projects examine the ways in which eighteenth-century adaptations of medieval and early modern texts negotiate disability and space. Marguerite also works for the Print Acquisitions Department of the UCLA Library and for the William Andrews Clark Memorial Library. Her other interests include library and museum history, the medical humanities, and rare books. Laura Hutchingame is a second year MA student in the Department of Art History. Her research focuses on early modern Venice with a special interest in process, modes & traditions of making, and material culture. Laura also considers the ecology of Venice in conjunction with the networks of individuals, materials and ideas that constellated Venice in the early modern period. In 2017, she earned an MA from the University of Toronto in History of Art. Before graduate school, she received a BA Honors with High Distinction in Art History from Carleton University. After a semester abroad in Venice during her junior year of undergrad, Laura became fascinated with all things Venetian; she has pursued early modern Venice ever since. 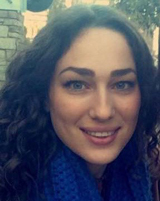 Liza Mardoyan is a second year MLIS candidate in the Department of Education and Information Studies at UCLA, with an emphasis in Rare Books/Print & Visual culture, and manuscripts. She is primarily interested in History of the Book, literacy and transfer of knowledge within the east and west Mediterranean cultures in the 17th and 18th centuries via the book trade through merchant mobility routes. 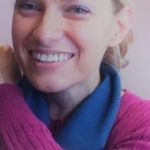 Liza has lived on three continents and many countries, she is polylingual (English, Italian, Armenian and Arabic) and has immersed herself in the practices of different cultures. For many years, she resided and experienced the essence of the 17th and 18th centuries in the city that “made the world read” – Venice, Italy. Her research focuses on the cultural relationship between Armenians and Venetians and the resulting book network. 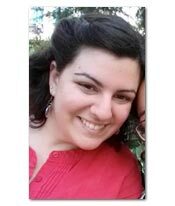 She has a Bachelor’s from American University of Beirut and teaches Italian at UCLA as a TA (Teaching Assistant). 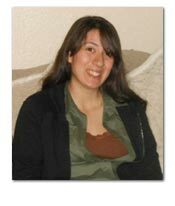 Alba Menéndez Pereda is a Ph.D. student in archaeology at the Cotsen Insitute of Archaeology at UCLA. She earned a B.A. 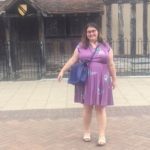 in Archaeology and Ancient Civilizations from Durham University in 2016 and graduated with an M.Phil. in Archaeology, specializing in the archaeology of the Americas, from the University of Cambridge in 2017. Alba’s primary research interests include the archaeology of colonialism and postcolonial theory, issues of identity, cultural exchange, and the development of syncretic practices. 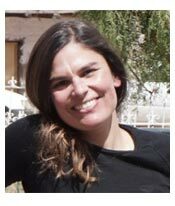 Her doctoral research will focus on the study of the evolution of imperial Inca funerary practices in the Inca heartland during the early colonial period. Alba has undertaken fieldwork in Spain, England and Italy, for both commercial and research purposes. 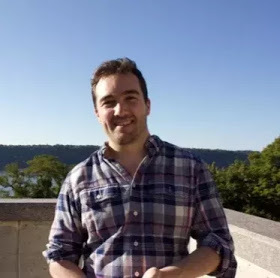 Peter Tasca is a graduate of Boston College and NYU’s Masters in English program. A PHD applicant for Fall 2018, Peter’s research includes 18th century Anglo-Irish Literature, Jonathan Swift, the history of the book, the bourgeois public sphere, and literary theory. Anya Josephs is in the second year of the Ph.D. program in English at UCLA. She received her Bachelor’s from Columbia in 2016. She is primarily interested in early modern theatre, particularly issues of race, gender, religion, and sexuality in the contemporary performance and production of early modern plays. 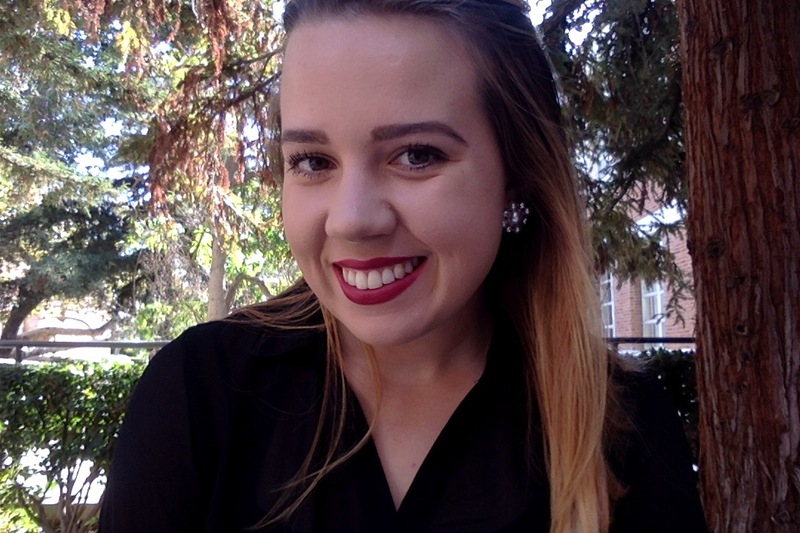 Stephanie Révy Kaczkiewicz is a second-year MLIS candidate with a Rare Books emphasis in the Department of Education and Information Studies. She holds a B.A. in English, focusing on British Literature, from Loyola Marymount University. Between degrees, she spent several years working with antique jewelry and is a member of the American Society of Jewelry Historians. Her interest is in women novelists of the long 18th century, their role as a progenitive force in the nascent modern literary market, and their effect on the rapid proliferation of books and presses as both producers and consumers. Tanya Knipprath studies rare books and manuscripts in the school of Information Studies at UCLA. She is primarily interested in 17th century costume studies and the shifting moral attitudes towards gender and sexuality as reflected in dress from the Jacobean period through the Restoration; as well as self-representation through performance, literature, and portraiture of the period. She received a BA in art from UCLA in 2012. 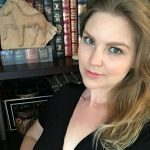 Rhonda Sharrah is a Ph.D. student in the Department of English studying book history, translation, and travel literature in the early modern period. While earning an M.A. in English from San Francisco State, she also studied Italian and Latin. Her recent work has focused on interpretive instability created when texts travel between languages, time periods, and forms. Other research interests include vernacular romances and networks of intercultural exchange in the medieval and early modern Mediterranean. Suzannah Beiner is a Ph.D. student in the Department of English. She received her B.A. in English from Princeton University in 2015. 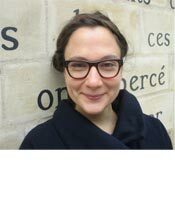 Suzannah’s research interests include Restoration and eighteenth-century British literature, particularly poetry and political pamphlets, as well as seventeenth- and eighteenth-century natural philosophy and architectural theory. 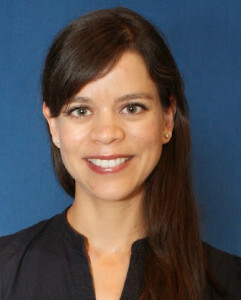 Tania Bride is a Ph.D. student in the Department of History at UCLA. She received a B.A. in history from the University of Oxford in 2013 and in 2015, an M.Phil. with distinction in early modern history from the University of Cambridge. Tania also studied and traveled in South and Central America as well as Mexico, completing the Institute for Field Research Ethnohistorical Archaeology program in Oaxaca, July 2014. Her research focuses on the socio-ritual sphere of indigenous communities in colonial Mexico, particularly the role of ritual specialists in cultural communication and adaptation. Robin Kello is a Ph.D. student in the Department of English. He received his B.A. in sociology from New York University and his M.A. in English from the University of North Carolina at Charlotte. He has studied and worked as a teacher in Granada, Barcelona, and Madrid. 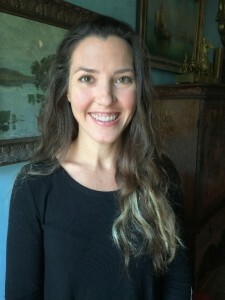 Robin’s research involves transnational relations of texts, cultures, and ecologies in the early modern period, with a specific emphasis on Anglo-Spanish connections. Daniel Ohanian is a Ph.D. student in the Department of History at UCLA. His research interests lie in social and intellectual history, the relationship between structure and agency, and Ottoman and Armenian history. He is co–principal investigator, with Professor M. Erdem Kabadayı, of the research project “Recovering Armenians in Late Ottoman Istanbul and Making Ottoman-Era Population Data Available for All,” funded by the Calouste Gulbenkian Foundation, and Director of Research at the Sara Corning Centre for Genocide Education in Toronto. He holds a B.A. in history and French studies from York University, an M.A. in history from York, and a second M.A. in history from Istanbul Bilgi University. His doctoral research concerns the involvement of Armenian and Orthodox Christian (“Greek”) trust networks in eighteenth-century Ottoman governance. 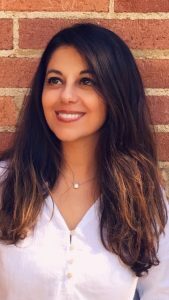 Karime Parodi studies Hispanic languages and literatures in the Spanish and Portuguese Department at UCLA. In 2014 she received a B.A. in Spanish linguistics and iterature from Pontificia Universidad Católica de Valparaíso, where she afterward studied law. Karime is interested in the problematics offered by colonial discourse, particularly the early treatises advocating for indigenous slavery in Spanish America. Her interests also include the relationship between law and literature, political theory, and racial politics. Jesús (Cheché) Silveyra is a Ph.D. student in UCLA’s Department of Spanish and Portuguese. He received his B.A. in psychology and M.A. in iterature from the Universidad Autónoma de Ciudad Juárez, and his M.F.A. in creative writing from the University of Texas at El Paso. 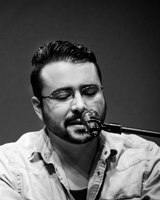 His fiction work has been published in Mexico and the United States, and has won the Punto de Partida award, the Fiction 101 prize, and a Pushcart Prize nomination. Presented at different conferences and published in various media, his academic work is centered around the political plays of Novohispanic dramatist Juan Ruiz de Alarcón. Currently, his research is focused on the 17th-century comedia de privanza, particularly on the role of women. 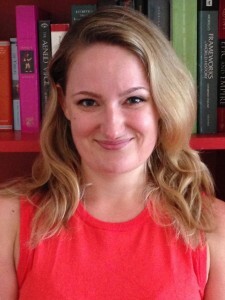 Kate Bolton Bonnici is a Ph.D. student in UCLA’s Department of English. 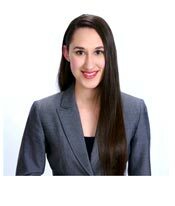 Originally from Alabama, Kate is a graduate of Harvard University and New York University Law School. In 2015 she received her M.F.A. in creative writing from UC, Riverside. Her essays and poetry have appeared in Arts & Letters, Southern Humanities Review, NANO Fiction, and elsewhere. She was a finalist for the Morton Marr and Fairy Tale Review Poetry Prizes and a recent Pushcart-Prize nominee. Kate’s study of early modern English literature emerges from foundations in government, law, and poetics. 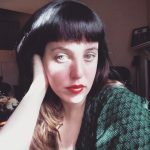 Her current research considers Renaissance recompositions of the intertextual body, probing how classical reception and other forms of intertextuality speak to authority and to authorship. 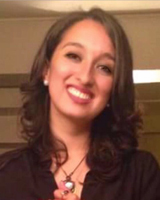 Karime Castillo is a Ph.D. student at the UCLA Cotsen Institute of Archaeology. She received her B.A. in archaeology from Universidad de las Américas Puebla and her M.A. in artefact studies from the Institute of Archaeology, University College London. She is primarily interested in Mexican historical archaeology and colonial material culture. 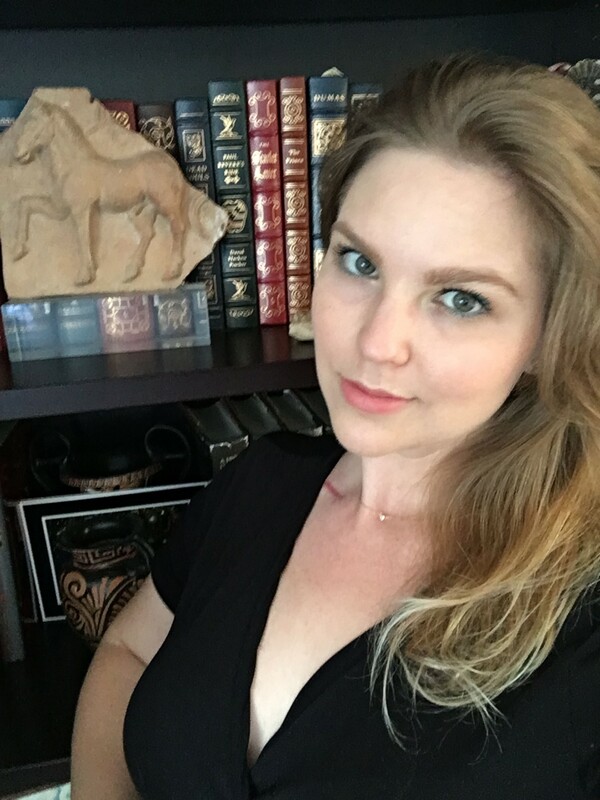 As a historical archaeologist, Karime has done research in Colonial Mexican majolica, the Hacienda San Miguel Acocotla, Puebla, Mexico, and pharmaceutical glass from London. She has worked for archaeological projects in different parts of Mexico—including Sonora, Mexico City, and Puebla—and has collaborated with Franz Mayer Museum in Mexico City and London Archaeological Archive and Resource Center in London. At UCLA her research focuses on glass production in Colonial Mexico. Monica Chieffo is a Ph.D. student in the Department of Musicology at UCLA with research interests related to the performance and historiography of opera in the European and American traditions and the ability of sound and music to propagate knowledge. She plans to explore the material culture surrounding 17th-century dramma per musica on the Italian peninsula, especially as it intersects with early modern conceptions of sound and scientific thought. Other interests include philosophies and cultural histories of listening, new materialism, voice studies, improvisation, and cultural diplomacy. 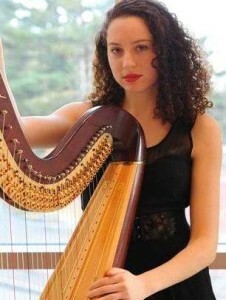 As a harpist, Monica enjoys transcribing baroque keyboard works for her instrument. She holds a B.M. in harp performance from Temple University and an M.A. in musicology from Tufts University. Allison Collins is a second year in the Department of Comparative Literature. Prior to coming to UCLA, she received her M.A. in humanities and social thought from New York University and her B.A. in Renaissance studies from Yale. Allison’s research interests include the history of love and lovesickness, Renaissance epic and lyric, and intellectual and cultural history. Bethany Johnsen is a first-year Ph.D. student in the Department of English at UCLA. 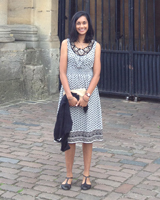 Her research interests focus on early Gothic and sentimental novels and Enlightenment philosophy. She received a B.A. in English and philosophy from the University of Texas at Austin in 2012. 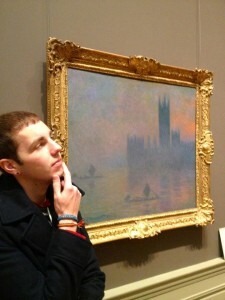 AJ Meyer is a Ph.D. student in the Department of Art History at UCLA. He received a B.A. with highest honors in anthropology and archaeology from the University of North Carolina at Chapel Hill in 2013 for his self-curated exhibition, Housed Within. Since graduating, he has worked in various museum institutions including El Museo del Barrio and the Museum of Modern Art in New York City. Last year he lived in Madrid, Spain, working as an English instructor at a secondary school. AJ’s research interests focus on tracing the circulation and transformation of Aztec art during the Aztec empire and early colonial periods. His current work centers on tracking these objects and their associated meanings to understand how they were acquired, gifted, traded, gendered, and altered cross-culturally after the conquest of the Aztec empire by the early modern Spanish world. 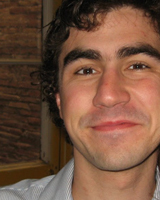 Patrick Bonczyk is a Ph.D. student in the Department of Musicology at UCLA. He studies seventeenth- and eighteenth-century sound-making automata addressing the tenuous boundaries that separate humans, animals, and machines. Patrick received the 2013 Irene Alm Memorial Prize from the Society for Seventeenth-Century Music and is a 2017 Andrew W. Mellon Foundation Fellow of the Excellence in Pedagogy and Innovate Classrooms Program. 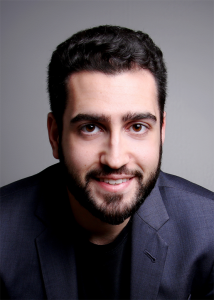 A countertenor, he has sung at Vancouver Early Music’s Baroque Vocal Programme and the Baroque Academy at the Amherst Early Music Festival and has also recorded for the Centaur Classical Record Label. 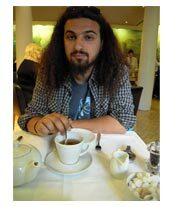 Georgi Kyorlenski is a first year Ph.D. student of archaeology at the Cotsen Institute of Archaeology, UCLA. He holds a B.A. in anthropology and history from Beloit College and an M.A. in museum anthropology from Columbia University. Georgi’s main research interest is Inca imperial control through the control of space and place rather than direct human interaction. He has previously conducted field work in his native Bulgaria and in Peru. Breena Loraine is a Ph.D. student in UCLA’s Department of Musicology. She earned an M.A. in musicology, M.B.A. in business management, B.Mus. in vocal performance, B.S. in business management, and the Honors Minor in interdisciplinary studies from San Diego State University. Her research interests include film music, opera, and early music. 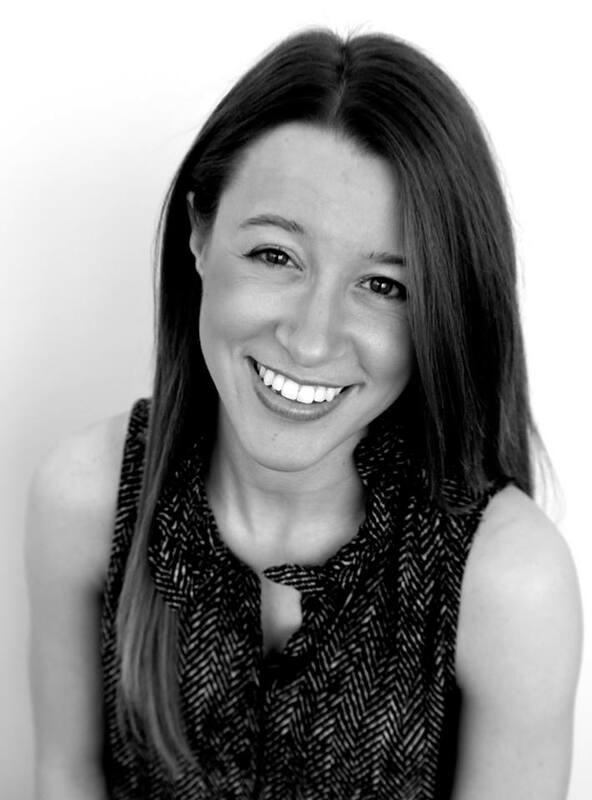 While earning the Graduate Certificate in Early Modern and Eighteenth-Century Studies, Breena plans to research seventeenth- and eighteenth-century operatic adaptations of Shakespeare’s works. 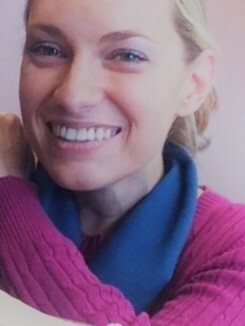 Lisl Schoepflin is a Ph.D. student in the history department at UCLA. She received her B.A. in anthropology and theater arts at University of Pennsylvania. Her research interests focus on Latin America and Colonial Andean society, particularly the early chronicles and indigenous culture and languages. Angelina Del Balzo is a graduate student in the English Department. She received her B.A. from Wellesley College in 2011. Angelina’s research interests include the long eighteenth century, Shakespeare and his afterlives, the history of the novel, and gender studies. 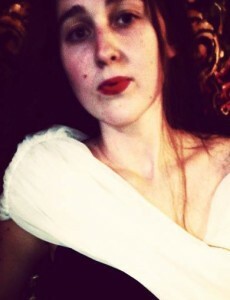 Her current project is on female deformity in Shakespeare and Colley Cibber’s Richard III. Jenny Marie Forsythe received her master’s degree in Latin American Literature from the Universidad Nacional Autónoma de México in 2011. She is currently pursuing a Ph.D. in comparative literature at UCLA. Her research examines seventeenth- and eighteenth-century French translations of Spanish American histories. Other interests include early modern theories of translation, the colonial archive in twentieth- and twenty-first-century fiction, and Latin American literary and cultural criticism. Ellen Hsieh earned an M.A. in anthropology from National Taiwan University. Her experience was in Neolithic archaeology. After she conducted an excavation in Fort Santo Domingo, New Taipei City, however, she shifted her interest to historical and maritime archaeology. Her current study on the Spanish colonial period in the Philippines focuses on the cultural contact and international trade network there. 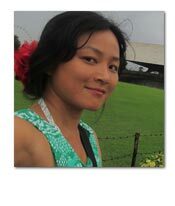 She has also participated in archeological fieldwork in Cambodia. 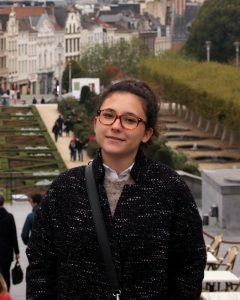 Laura Muñoz will be studying Hispanic languages and literatures in the Spanish and Portuguese Department starting in fall 2013. In 2012 she received a B.A. in Spanish and a B.A. in linguistics from UC, Riverside. At UCLA Laura plans to study the representation of women in early modern literature. 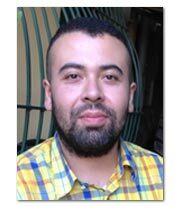 Carlos Rivas is a Ph.D. student in the Department of Art History at UCLA, where he specializes in Latin American art and architecture of the Early Modern period as well as the indigenous arts of the Americas. Recently, Carlos’s work has looked at ecclesiastical architecture in eighteenth-century Central America as well as the adoption of indigenous domestic architectural forms by Spanish Creoles during the colonial period in Central America. 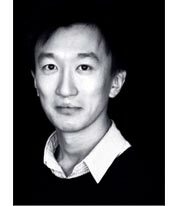 His other research interests include cultural and material exchanges between Asia and Central America.